Indigo Imp is a Cleveland brewery that uses open fermentation for all of their beers. They also bottle condition each beer and dip the neck of one beer in each six pack in wax. I think it is safe to say there are no other Ohio breweries quite like Indigo Imp. In terms of beer style the most similar brewery I can think of is Jolly Pumpkin in Ann Arbor. I describe the approach and philosophy of Indigo Imp in more detail in my review of their Summer Pale Ale. 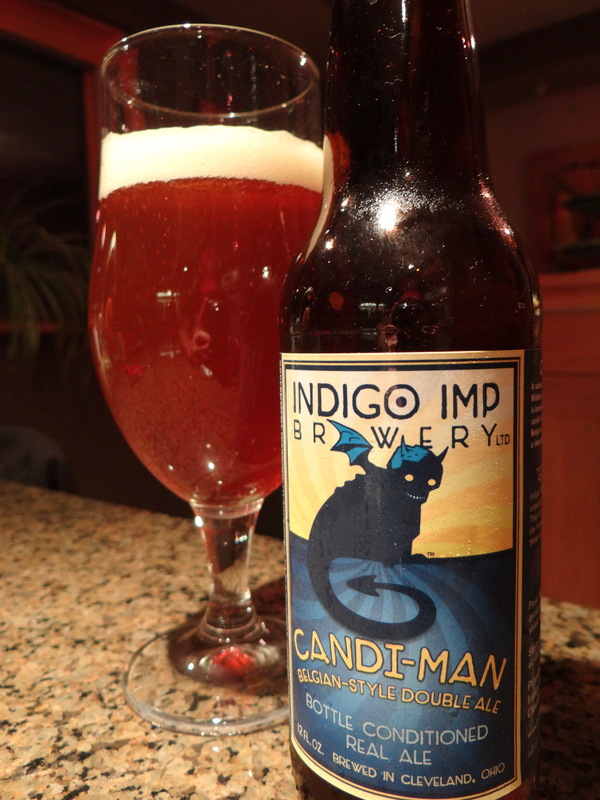 Here I review a bottle of their Belgian Double Ale, Candi-Man, which was graciously given to me by my friend Tom Magliery. As you can see in the picture above Candi-Man is translucent and orangish-amber in color. 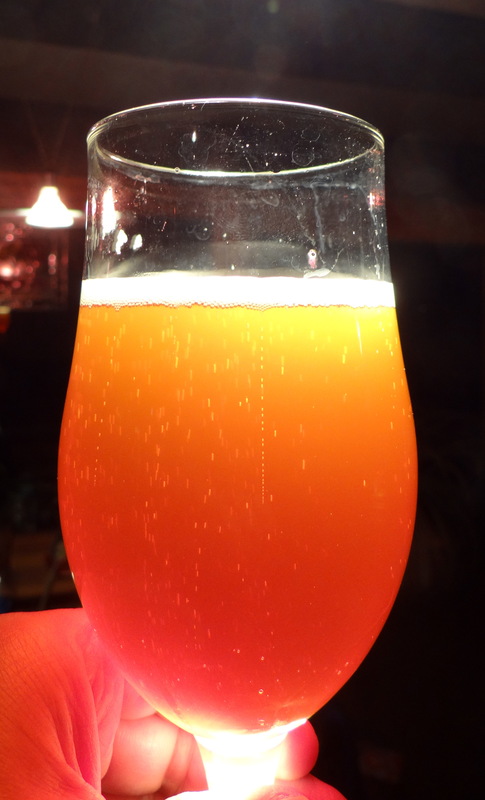 The bottle conditioning leads to a high level of carbonation that gives a big, white head. Unlike some of the other Indigo Imp beers I’ve tried the head recedes quickly leaving little lacing behind. The aroma is fruity with a hint of sour and some candi sugar. The taste has a cider-like quality, it’s fruity and tart but not overly sour. The fruit flavors are reminiscent of lighter fruits (apples, white grapes, a touch of citrus) rather than the rich dark fruits that one normally associates with a Dubbel. It’s a light bodied beer with a clean, crisp finish. Not a bad beer, but not all like I would expect for a Dubbel. This beer has much more in common with other Indigo Imp beers (Summer Pale Ale, Jester, Blonde Bombshell) than it does with the Belgian dubbels made in the Trappist tradition. If you like tart beers with fruity highlights you should enjoy Candi-Man, but if you really want a Dubbel I’d suggest looking elsewhere.